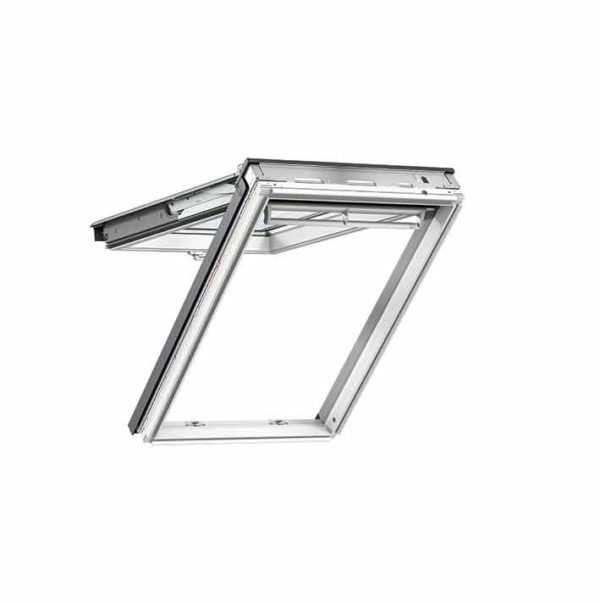 Developed for use in attics with shallower pitched roofs to maximise roof top views. For within-reach situations only. • Opens in two ways: the bottom handle allows for top-hung opening; a short pull on the top control bar allows filtered background ventilation even while the window remains shut. 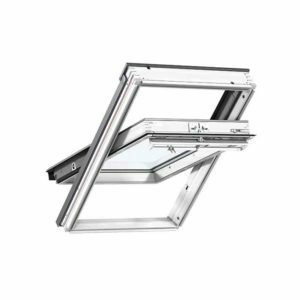 • A second pull on the control bar allows the window to rotate for maximum ventilation – and up to 180° for cleaning the outer pane from inside the room. • Quality painted pine sash & frame. • Laminated double glazing as standard. • Insect screen available as extra.